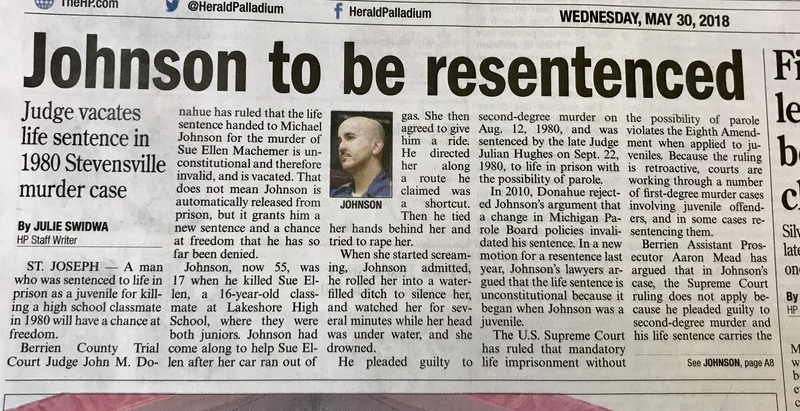 In 1980, Michael Johnson was sentenced to prison for taking the life of classmate, Sue Ellen Machemer. At the time, the two teenagers were juniors in high school in Stevensville, Michigan. The world was in front of them. 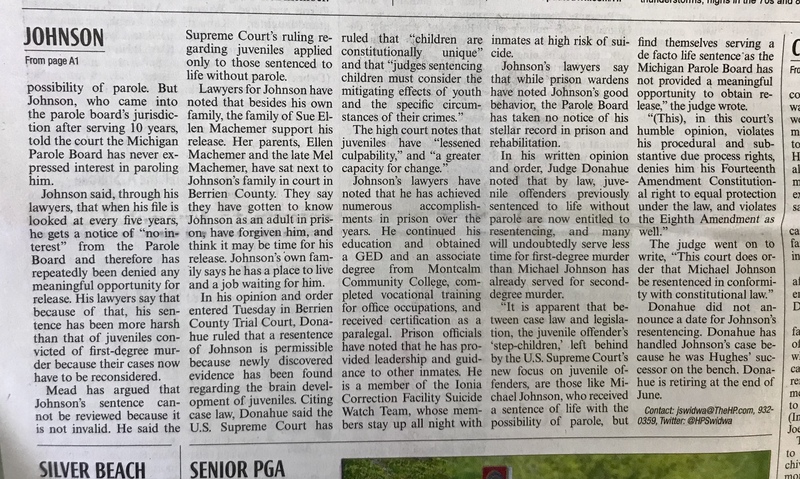 This site provides facts about Michael Johnson, the story of Sue Ellen’s Bears and information on those that support Michael Johnson’s release, including Psychologists, Michigan Department of Corrections Employees and the Machemer family. From left: Sue Ellen’s parents Mel and Ellen Machemer with Michael Johnson and his mother Audrey Johnson. Article from Berrien County District Court retrial hearing, 2009. The historical record makes it indisputably clear that a life sentence in Michigan did not always mean “no release.” On the contrary, a parolable lifer’s chances of being released from prison have dropped dramatically since many people currently incarcerated received their life sentences.